Yikes! Dinghies can really move. 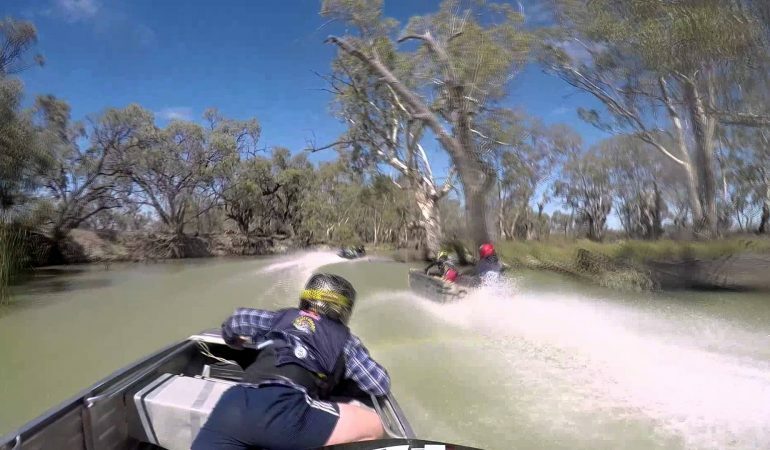 Click play and watch the real water racing done down under in Renmark, South Australia in the 2015 Redbull Dinghy Derby. You will witness a bunch of dinghies sporting Stacer 319 Proline hulls and 30HP engines racing one another in waters that are, I assume, full of crocodiles, venomous snakes, and kangaroos. Oh, and above the water’s surface the racing ain’t no picnic for the two-man teams either. There are tree branches, spider webs, all sorts of water grass and plants, seats thrown by other racers, and the wake of racing boats to dodge while speeding through the swampy waters.